This numeral can be placed on any of the Whitehall Posts with Finial to create a personal address marker. The numeral includes a strong adhesive on the back, to keep it in place on your post. 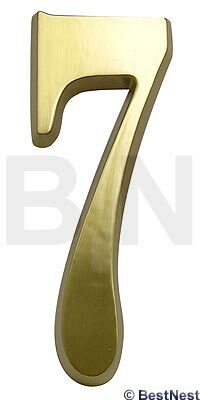 This shiny brass metal number will signify your address and add style to your home or lawn year after year.